Welcome to the Bay of Plenty! Tauranga is New Zealand’s fifth largest city and home to an estimated 125,000 people. Our city sits right on the water’s edge and is well-known for its blue skies, warm climate, sparkling harbour and relaxed lifestyle. Maori first discovered this area in the 13th Century and named it “Tauranga” meaning ‘the place of rest or anchorage’. It has grown rapidly in recent years and now offers cosmopolitan city living combined with a laid-back atmosphere. Our city airport is located just over the Tauranga Harbour Bridge where you can catch direct flights to and from Auckland, Wellington and Christchurch. If you choose to drive, we’re an easy 2.5 hour road trip south from Auckland, or a slightly longer car journey northwest from Hawkes Bay. 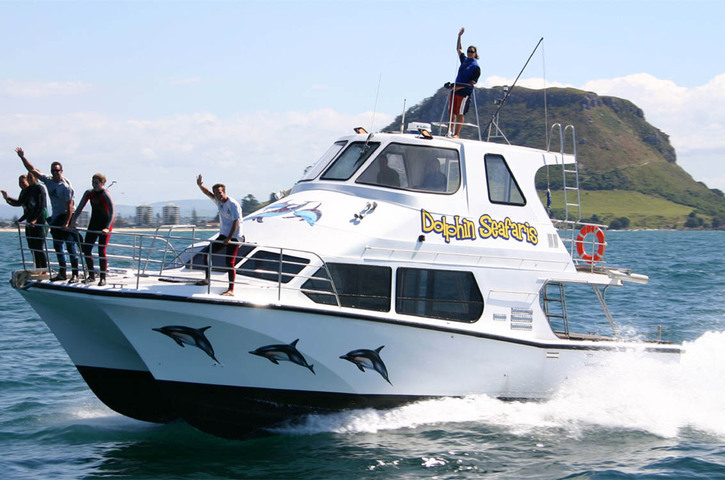 Here you will find yourself surrounded by, and drawn to, Tauranga’s harbour which is sheltered from the open ocean by Matakana Island and Mount Maunganui. The city’s main hospitality area is right on the waterfront. Choose from a wide range of bars and restaurants along The Strand where fine dining and international cuisine is served alongside bar snacks and tapas platters. This is where locals come to share after-work drinks, celebrate big events and socialise with friends. Tauranga’s growing arts scene is evident right across the city. You are sure to notice renowned local street artist Owen Dippie’s major works which span several stories high on the side of many buildings. Pay a visit to Tauranga’s Art Gallery to view national and international exhibitions and be charmed by Greerton’s yarn bombing craze, where giant balls of wool and knitting encase the trunks of cherry trees which line the suburban village streets. 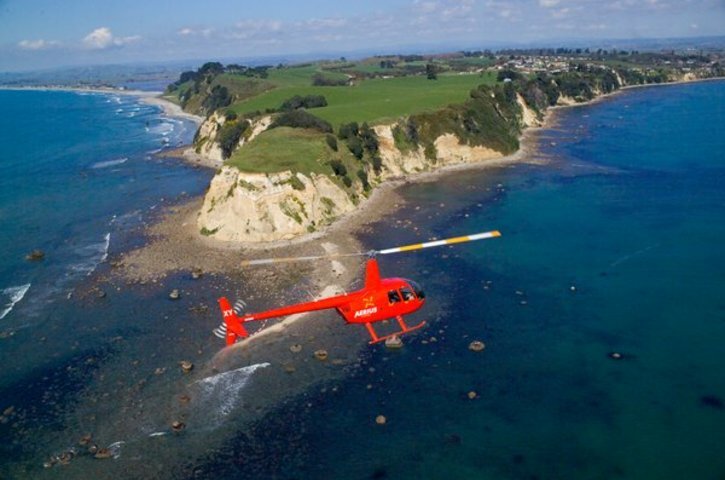 Locally owned and operated Aerius helicopters have been providing aerial services in the Bay of Plenty since 2004. Experience the charm of yesteryear at the Village on 17th a collection of original and replica buildings taken from early Tauranga and set in a unique setting of gorgeous gardens. 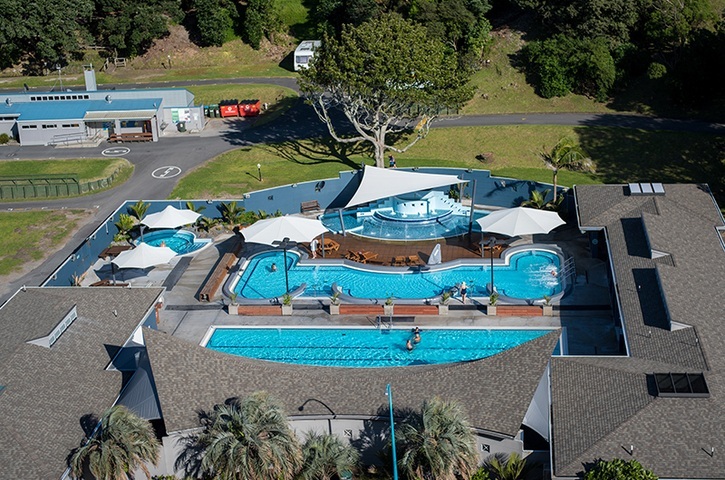 Nestled under Mt Maunganui, the Mount Hot Pools are the perfect place to sit, relax and enjoy the views of the Mount.